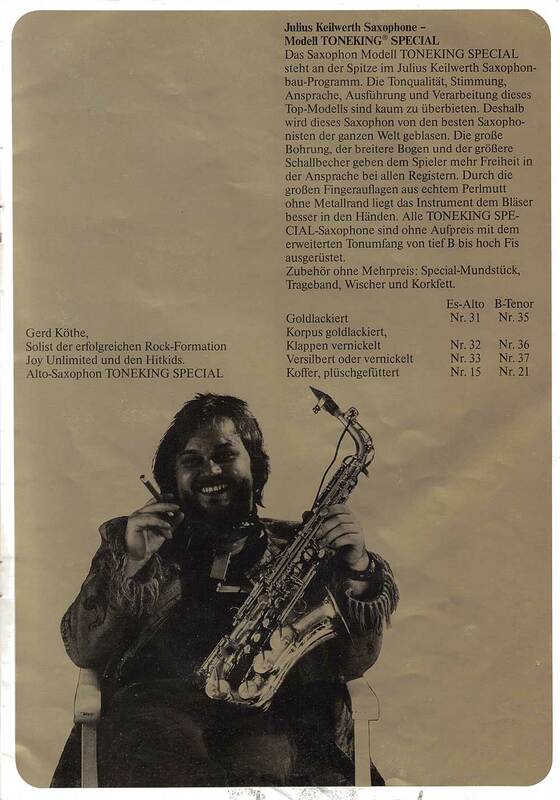 The TONEKING SPECIAL is Julius Keilwerth’s premium model. The tone quality, intonation, responsiveness and workmanship of these top models are virtually impossible to beat. As a result these saxophones are played by the best saxophonists in the world. The large bore, wider bow and larger bell give the player more freedom and responsiveness in all registers. The large borderless key touches of real mother of pearl make the instrument more comfortable to hold. All TONEKING SPECIAL saxophones are keyed from low Bb to high F# at no extra cost. Accessories included at no extra cost: Special mouthpiece, neck strap, pull through, and cork grease.